Quickly get Print Preview if you have Classic Menu for Office. 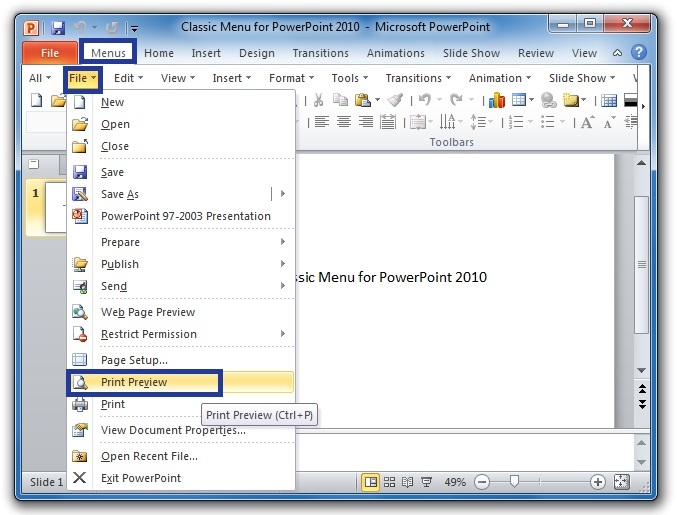 Classic Menu for PowerPoint will bring you familiar classic styles menus and toolbars. 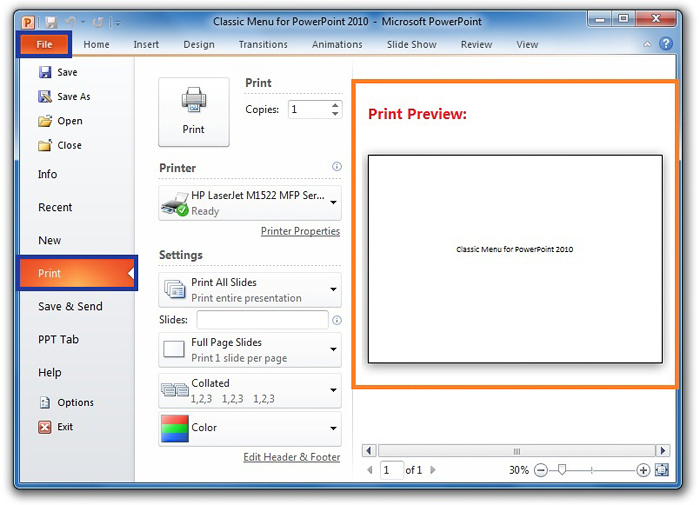 With them you can get Print Preview in Microsoft PowerPoint 2010/2007 with the same way that you did in Microsoft PowerPoint 2003. After launching Microsoft PowerPoint 2010/2007, just click Print Preview button on classic style toolbar. Only one click is enough! After click the Print Preview button, the PowerPoint 2007, 2010, 2013, 2016, 2019 and 365 interface will jump to the backstage view under File tab automatically. At right side you will view the preview area. Then PowerPoint 2007, 2010, 2013, 2016, 2019 and 365 interface will jump to the backstage view, just the same as figure 2. Then you will view the backstage view of printing at the right is preview area, just as figure 2 shows.